There are few areas in the business where digital rights are more rigid than in the regional sports network industry. However, live social video has changed the game and opened up a world of opportunities for new content ideas. At New York’s YES Network, Facebook Live has become has become a lynchpin in the broadcaster’s ability to drive tune-in to live games and generate new monetization opportunities. 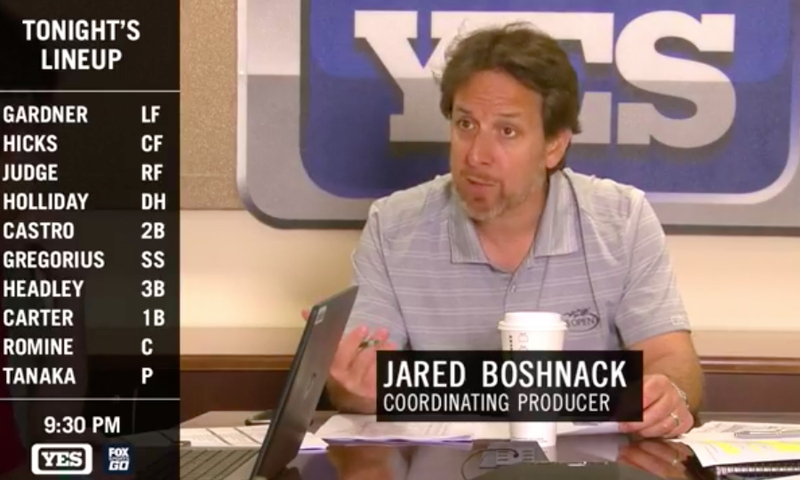 One of YES Network’s most popular pieces of live social content is a program that takes viewers inside the broadcaster’s production meeting that plans out storylines for the upcoming series. 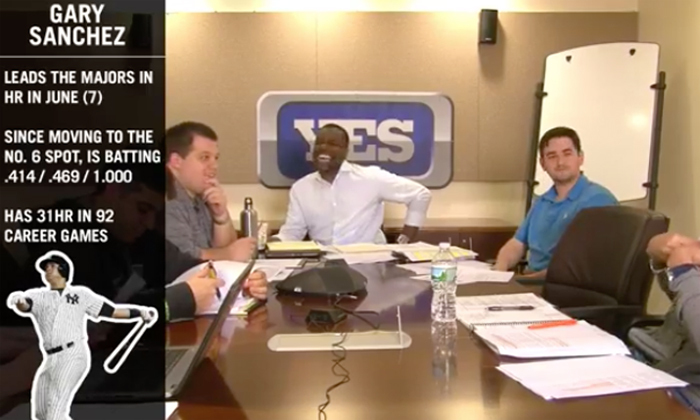 One of YES Network’s most popular Facebook Live shows takes viewers inside the network’s production meeting prior to the start of a series (it typically airs twice-a-week). There, producers and on-air talent pitch storylines, trends, and talking points, creating an atmosphere that essentially serves as a pre-game show to the actual linear pre-game show. The concept was the collaborative idea of numerous individuals including Spirito, Kevin Sullivan (Managing Editor, Digital Media), and Jared Boshnack (Coordinating Producer of New York Yankees Baseball). The show is a two-camera shoot and the digital team utilizes Telestream’s WireCast solution to cut the show and generate on-screen graphics such as lower thirds, starting lineups, and additional stat cards. YES Network uses Telestream’s WireCast solution to cut a two-camera shoot and generate on-screen graphics. Spirito estimates that YES Network has done more than 110 Facebook Live videos (and counting!) over the past 16 months. He also notes that all Fox Sports Regional Networks are already beginning to generate new monetization opportunities off of this type of live social content. Fox Sports Regional Networks have undoubtedly found success in engaging fans on Facebook Live, as well. According the Spirito, Facebook Live shows on YES Network generates 10s of thousands of views and that all digital products across the Fox Sports RSN map have seen a combined 6,000% increase in engagement over the past two and a half years.